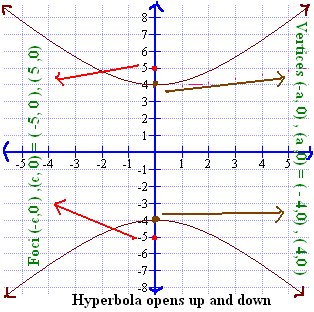 The hyper-bola opens left and right. Notice it comes in two parts. Different than an ellipse which is a closed figure. Hyper-bolas can also open up and down. 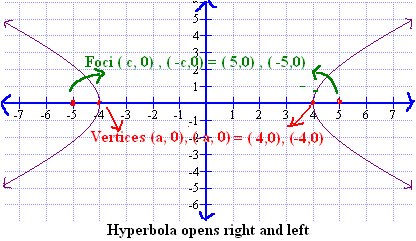 So the equation is opposite to that of above hyper-bola.